If you're looking for a well maintained and affordable, one-level home then you'll love this! 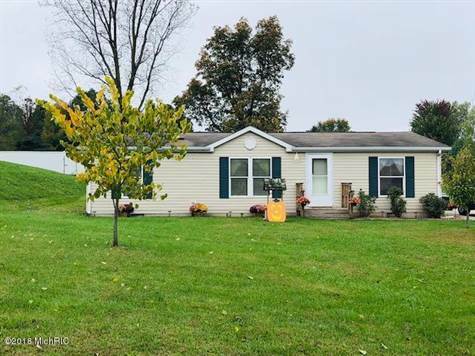 Very clean and updated, 3 bedroom, 2 full bath ranch in Country Meadows! New laminate wood floors! Spacious eat-in kitchen with nice appliances that stay. Living room has built-in entertainment center with reclaimed wood accent wall. Master suite has walk in closet, garden tub, low threshold shower and skylight! Main floor laundry! Fully fenced in back yard with storage shed and expansive deck and pergola. Just freshly stained. Convenient location to town! Don't miss it!